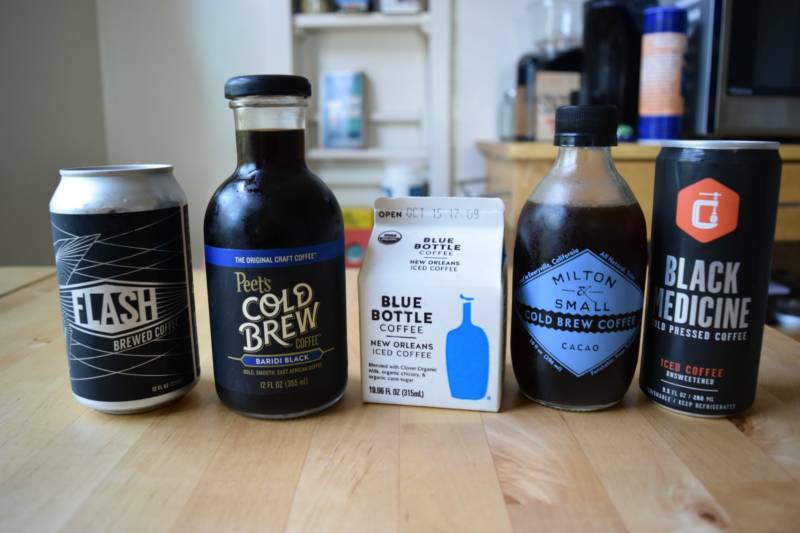 Over the last few years, traditional iced coffee--hot coffee dumped over a cup of ice--has been slowly usurped by a trendy newcomer: cold brew. Its devotees say that cold brew’s preparation, where coarsely ground coffee isn’t heated, and is instead combined with room temperature water for a long period of time (usually 8-12 hours) before being strained, leads to a smoother, more flavorful cup of cold coffee. While Japan has been preparing cold brew since the 1600s, it didn’t become popular in America until the 90s and early 2000s, when third wave coffee shops started including it on their menus. Portland’s Stumptown started selling bottles of their cold brew in 2011, paving the way for today’s current crop of ready-to-drink coffees. This summer, the trend reached its peak when corporate coffee behemoth Starbucks started offering cold brew coffee at their locations nationwide. Even Dunkin' Donuts--whose traditional iced coffee inspires cult-like levels of devotion--now offers it. 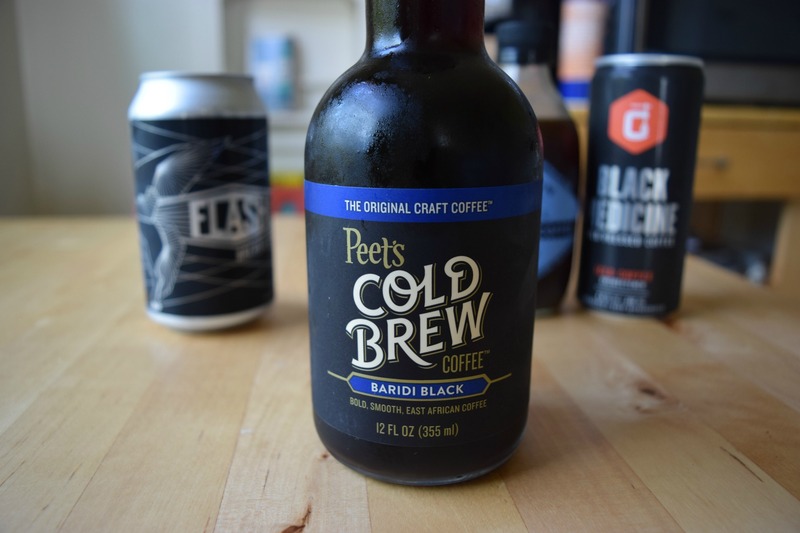 In the Bay Area, where coffee has been taken seriously since the early days of Peet’s, cold brew is nothing new. In fact, some roasters have even moved on from cold brew, using techniques like flash and pressure brewing to craft delicious cups of cold coffee. Here are some of our favorite locally made iced coffees, a diverse groups of flavors and styles, all helpfully available in bottles or cans. Did we miss your favorite? Let us know in the comments. The East Bay’s Highwire has experimented with several types of cold coffee over the years, from traditional iced coffee to their Howlin’ Wolf nitro-iced coffee available on tap. 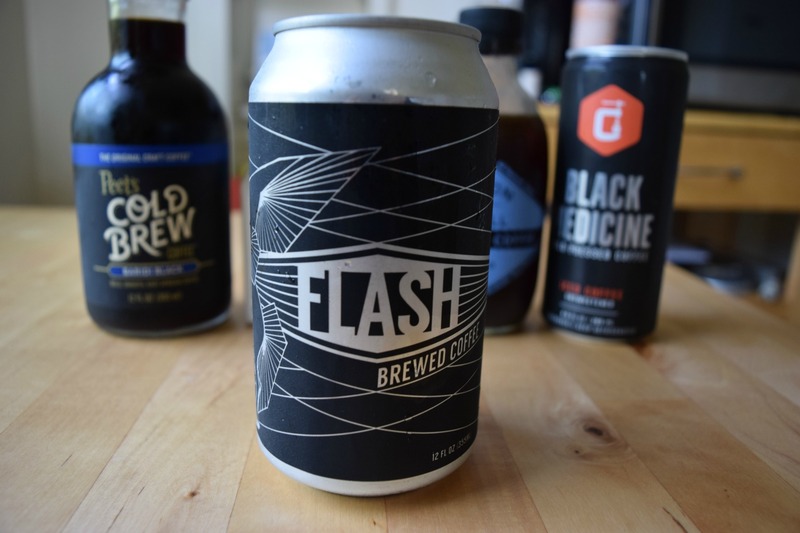 Their latest offering is Flash, a cold can of coffee that’s not cold brew. Instead, it’s flash-brewed iced coffee: the style, which has also been called Japanese iced coffee, is made by preparing hot coffee using traditional methods, and then putting it over a carefully determined amount of ice that cools it down without weakening the flavor. Advocates of this method prefer it over cold brew because there are certain elements and flavors of coffee that can only be unlocked in contact with hot water, and Highwire’s bright and flavorful version shows the advantage of this approach. It’s slightly bitter and more acidic than cold brew, but it’s boldly complex, with a light chocolatey flavor. If you’re a fan of the subtleties of pour over coffee, try this one. Although the Berkeley-based Peet’s only recently launched a line of cold brew bottles--including a “coffee au lait,” dark chocolate and plain versions--their label, which declares them “The Original Craft Coffee,” reminds you that they were one of the country’s first coffee roasters to take a more thoughtful approach to roasting by emphasizing the importance of a coffee’s origin. Their plain cold brew is made from an East African Baridi Blend that’s prepared in their signature, aggressively dark roasted style, and while it’s a lighter, less intense version than other cold brews I tried, it’s still satisfying and smooth. It’s perfect for anyone who prefers darker roasted coffees, and who wants something that’s gentle, slightly sweet and low in acidity. 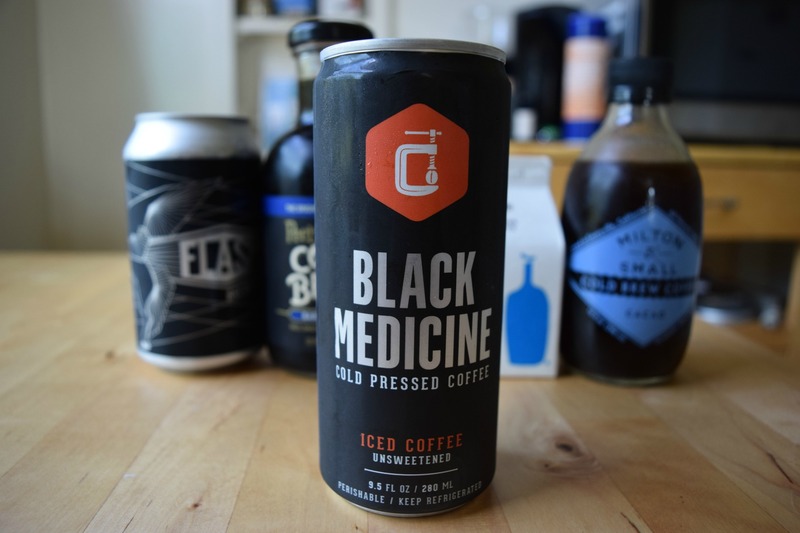 Like Highwire’s Flash, Oakland’s Black Medicine isn’t a traditional cold brew. They brew their beans--a mix of Latin American and African beans--in a proprietary, pressurized machine, and then cool it down before canning. According to them, this method keeps oxygen out of the coffee, allowing stronger and subtler flavors to emerge. They offer an iced mocha and iced latte in addition to a plain cold brew, and the plain version is an intense can of coffee: it has a full, almost creamy mouthful, with notes of chocolate and fruit. It’s also extremely caffeinated--be aware that the innocent-seeming can contains the caffeine equivalent of two standard cups of coffee. 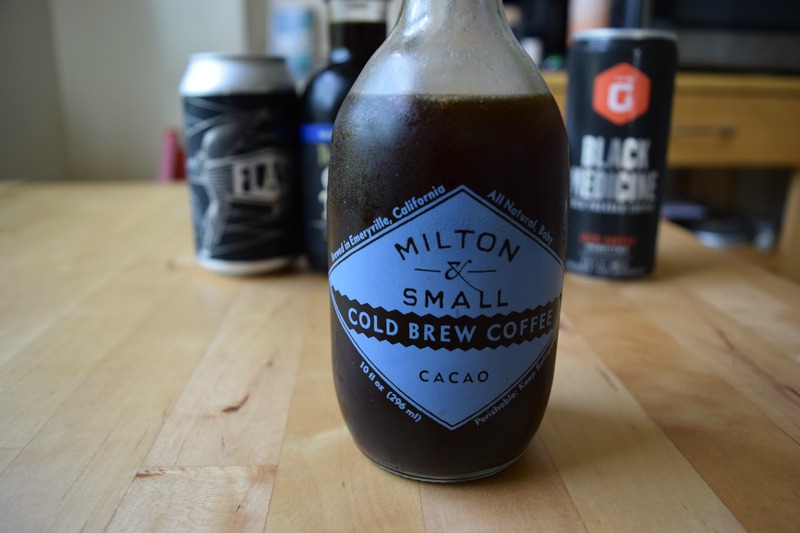 Milton & Small, based in Emeryville, offers cold brews made from organic medium and dark roasts in a variety of flavors, from a plain version to one mixed with maple syrup and chaga mushrooms. One of their more intriguing options is the cold brew combined with cacao nibs. Since there’s no sugar added, it’s nothing like a mocha. Instead, the cacao beans add acidity and fullness, with the coffee’s natural sweetness counteracting the bitterness of the cacao, creating something that tastes similar to an extra-dark chocolate bar. It's a natural combination and a healthier, intriguing alternative to the conventional coffee and chocolate pairing. 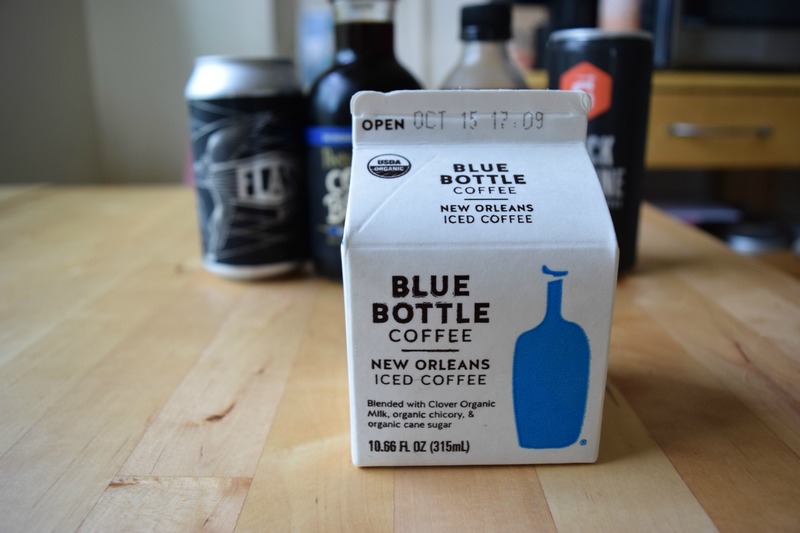 Oakland’s Blue Bottle offers one of the Bay Area’s most popular ready-to-drink coffees: they started selling cartons of their New Orleans-style cold brew (chicory root, organic cold brew, Clover milk and organic cane sugar) in 2014, and now you can buy a 12-pack of them from your local Costco. A taste reveals why it’s been so successful. It’s a sophisticated, classed-up version of a iced latte (which their site reveals was an inspiration when creating the New Orleans). It’s sweet but not cloying, creamy and full-bodied, with a rich, caramelized scent that recalls brownie batter.